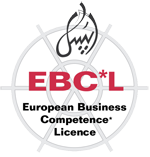 At the first stage of EBC*L, graduates will acquire the economic targets of a company and understand the language used during business conversations and meetings. Therefore the graduates become a competent contact person who has the necessary basis for entrepreneurial thinking and acting. Level A contains essential fundamentals of practice-oriented and privately and professionally realizable business competences thus becming a qualified person in production, sales and administration. The exam questions are open questions (no multiple-choice test). Hence, the candidates show their ability to freely express their economically well founded answers. The graduates know how to draw up business plans for projects and enterprises under economic criteria and have the necessary know-how to develop budgets. 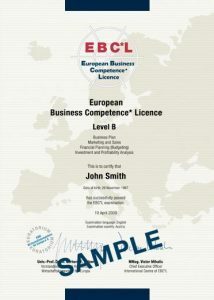 It includes the most significant economic planning instruments such as marketing plans, ABC or UBS analysis. This level also includes knowledge necessary for the realization of strategies to meet corporate objectives and to take the appropriate measures. It is possible to only do one of these partial examinations at a time. To successfully pass the examination, 75 % of 80 points must be obtained. The graduates know the economical instruments for the management of an enterprise and its departments, as well as the conditions and procedures of effective personnel management. This level also contains leadership competence such as self-management, motivation, team development, communication, conflict resolution and target orientation. In addition, practical cases and relevant issues related to the role of general manager such as human resources or personnel management challenges are also included in the syllabus. 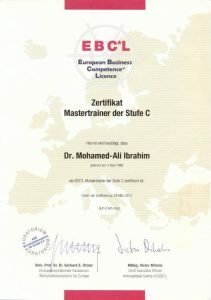 Those who complete all levels will receive the EBC*L Certified Manager certificate. To successfully pass the examination, 75 % of 80 points must be obtained in Part 1 and 50 % of 50 points in Part 2.